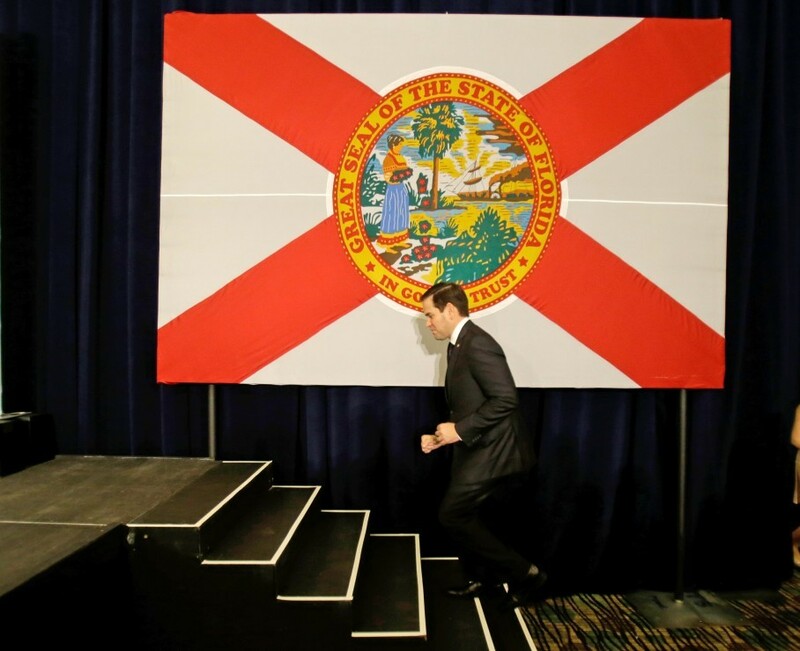 THE BIG IDEA: In Florida’s presidential primary this March, Donald Trump beat Marco Rubio by 19 points – forcing him to drop out. Last night, just five-and-a-half-months later, Rubio won the Republican primary for another term in the Senate by 53 points. Rubio received 1,028,282 votes yesterday, on par with the 1,077,221 votes Trump garnered in March. He decisively defeated Carlos Beruff, who sank more than $8 million of his own fortune into the race. The homebuilder had tried to channel Trump in many ways, including with a brash tone and by advocating for a temporary halt on immigration from the Middle East. 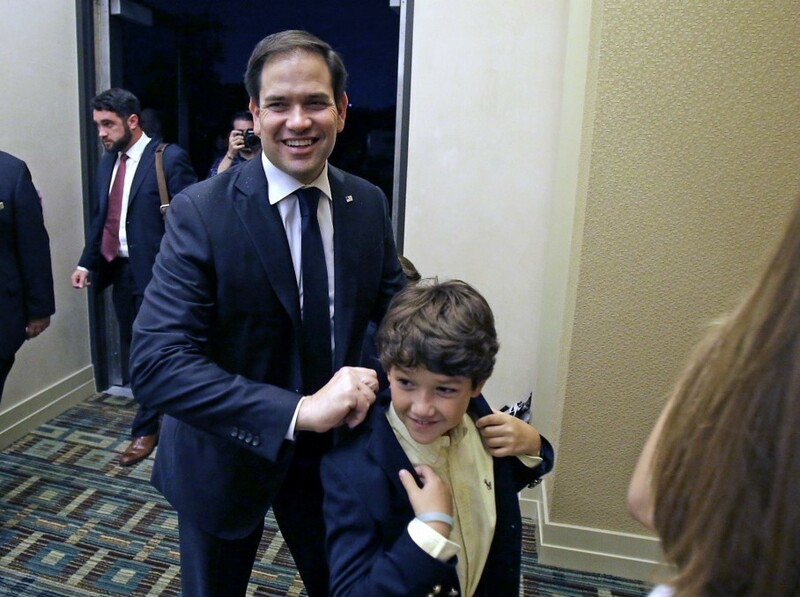 Rubio now faces Rep. Patrick Murphy, who easily beat Rep. Alan Grayson to win the Democratic primary. 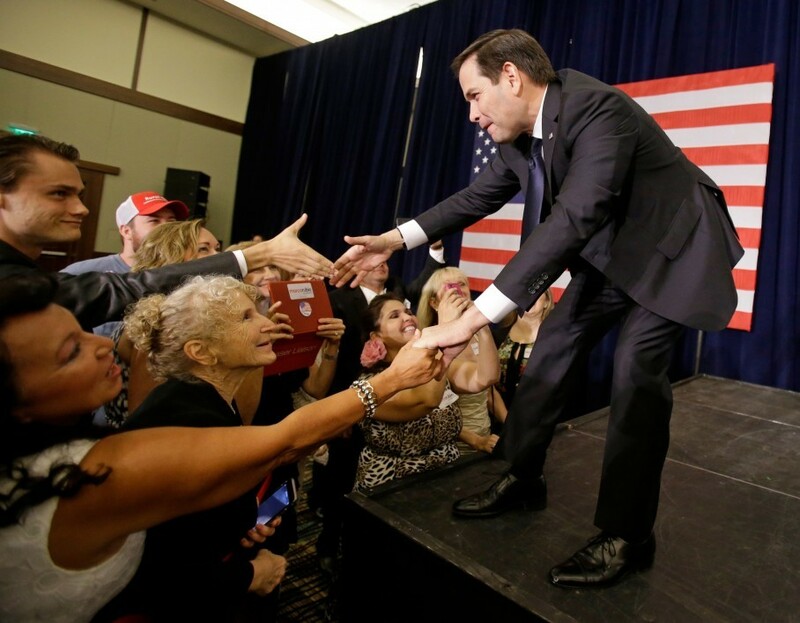 -- Looking ahead: If he plays his cards right, Rubio will enter 2020 as a top-tier candidate for the Republican nomination. Assuming Trump loses and he wins—both outcomes suggested by the polls 10 weeks out—Rubio will be able to offer a potential roadmap out of the wilderness as Republicans begin a fresh period of soul searching. He’s still the son of Cuban immigrants and can talk about his modest upbringing as the son of a bartender. His relentless message discipline, even to a fault of becoming robotic, limits his gaffes. 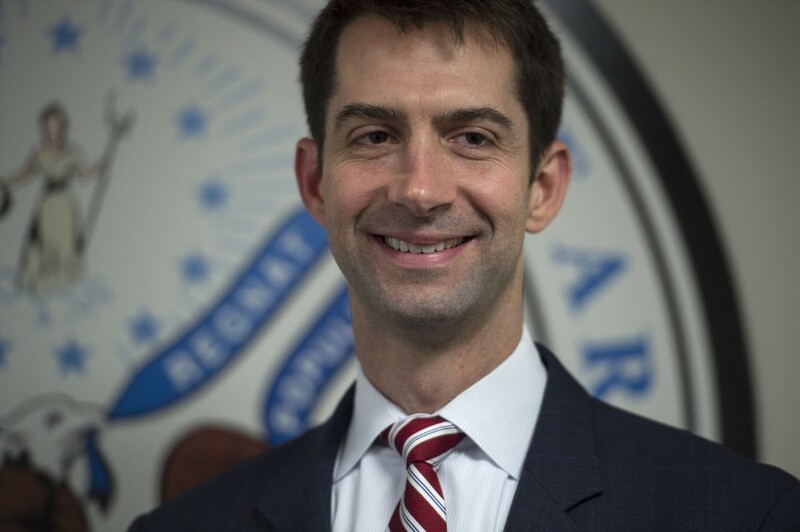 Many Republicans will put a premium on finding someone who does not put his foot in his mouth every day. He’ll have shown he can win statewide – including with headwinds from Trump and presidential-level turnout – in the biggest battleground. With the exception of immigration and sugar subsidies, Rubio’s bona fides as a movement conservative are basically unchallenged. In contrast to Trump, he’s a hawk who supports free trade – the traditional positions of the party. Without an obvious establishment favorite like Jeb Bush to vacuum up money, he could build up an impressive war chest. He still has a devoted core of supporters in the four states that kick off the nominating process. One of Rubio’s biggest liabilities – his lack of experience – will be less of a problem with nearly a decade under his belt in the world’s greatest deliberative body. And he’d still be able to prosecute a case for generational change against Hillary Clinton, who will be 73 in Nov. 2020. Rubio will still only be 49. -- Republicans historically nominate whoever is considered next in line. Ronald Reagan did not win the nomination until his third try. Had George H.W. Bush not run and lost in 1980, he would not have become Reagan’s running mate and then succeeded him in 1988. Richard Nixon lost the 1960 election (and a 1962 bid for California governor) before his 1968 comeback. -- I was not convinced it was wise for Rubio to get into the Senate race in June, but what’s happened in the intervening two months has seemingly validated his gambit. He did not have as tough a primary as he might have. He leads Murphy by 6 points in the Real Clear Politics average of recent polls. And thus far he’s done better than expected at threading the needle between supporting Trump and not recanting the substantive criticisms he leveled during their primary contest. He could have run for governor in 2018 but that would have been harder because he’d need to almost immediately start running for president after taking office. And he would not have been able to clear the GOP field. If he had left the Senate despite pleas from Mitch McConnell, and Republicans lost their majority by one seat, he would have been blamed. Assume for the sake of argument that Trump is going to lose. He and his biggest fans will blame people like Ted Cruz and John Kasich for staying on the sidelines. Both the Texas senator and Ohio governor will need to fend off attacks, assuming they run in 2020, that their refusal to endorse Trump is to blame for Clinton’s presidency, especially if the final outcome is close. 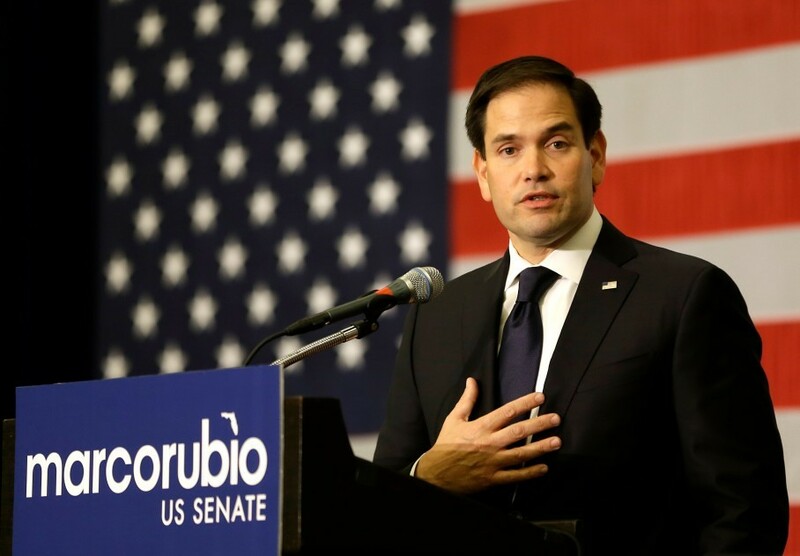 Rubio, on the other hand, will need to respond to criticisms from other potential candidates—such as, hypothetically, Nebraska Sen. Ben Sasse—that his support for Trump was unprincipled. -- But first Rubio must win the race right in front of him. Murphy will now attack Rubio as an opportunist, emphasizing all the times he said he hated the Senate. His campaign has also put out a series of web videos contrasting Rubio’s attacks on Trump during the primaries with him now offering support (though it is somewhat nuanced). And, if he returns to Washington, Rubio must demonstrate he is serious about governing. He had the worst attendance record for a while, and some of his Senate colleagues feel he has been insufficiently engaged with his duties as a member of the Intelligence Committee. He’ll need to figure out a way to score some more legislative achievements if he wants to run as someone who can be effective. Do you get any satisfaction from Trump embracing positions on immigration that he attacked you for holding throughout the primaries? “I don’t know about satisfaction. I wouldn’t couch it that way. My view is that’s where the majority of the American people are. The majority of the American people want the border secured and illegal immigration brought under control. The majority of the American people want our legal immigration system reformed so that it works better and we change the criteria by which people enter the country, so that it’s more merit based. If we do those two things, the majority of the American people understand that we need to do something reasonable but responsible with someone who has been here for a long time and is willing to pay a fine and start paying taxes and seek legal status. The majority of the American people also understand that, if you’re a criminal, you need to be deported as quickly as possible.” He said the lesson of the 2013 experience is that comprehensive bills will not work, and that reform needs to happen in a more piecemeal way. -- In Arizona, John McCain won his GOP primary with 52 percent. Former state Sen. Kelli Ward got 39 percent. Now, the senator faces well-funded Rep. Ann Kirkpatrick in a state where the presidential polls are close and strong Latino turnout could sink him. 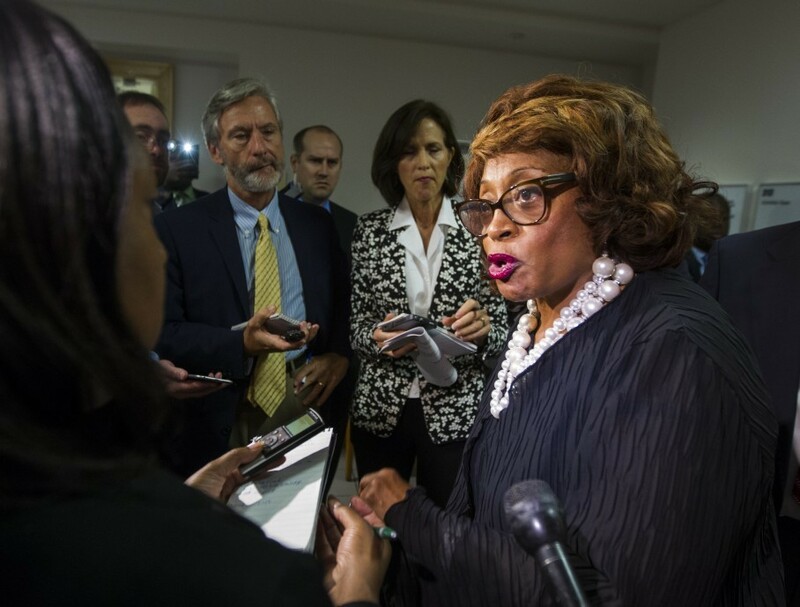 -- Facing a 22-count federal indictment and redistricting, Florida Rep. Corrine Brown (D) became the fifth House incumbent to lose a primary this year. She lost to state Sen. Al Lawson. -- Former DNC chair Debbie Wasserman Schultz beat Bernie Sanders-backed challenger Tim Canova by 14 points (57-43). Former Rep. Joe Garcia narrowly beat businesswoman Annette Taddeo, who had the support of the Democratic Congressional Campaign Committee, to challenge incumbent Carlos Curbelo (R) In the Miami-area 26th District. GOP fundraiser Francis Rooney, a former U.S. ambassador to the Vatican, beat Chauncey Goss, son of former CIA director Porter Goss, in the solidly-red 19th district seat vacated by Curt Clawson. Alan Grayson's wife lost the primary to fill her husband's seat, which he gave up to run for Senate. The victor, state Sen. Darren Soto, will become the first person of Puerto Rican descent to represent Florida in Congress. -- The GOP nominee will jet to Mexico City for a meeting with President Enrique Pena Nieto this afternoon, just hours before his speech on immigration in Arizona. 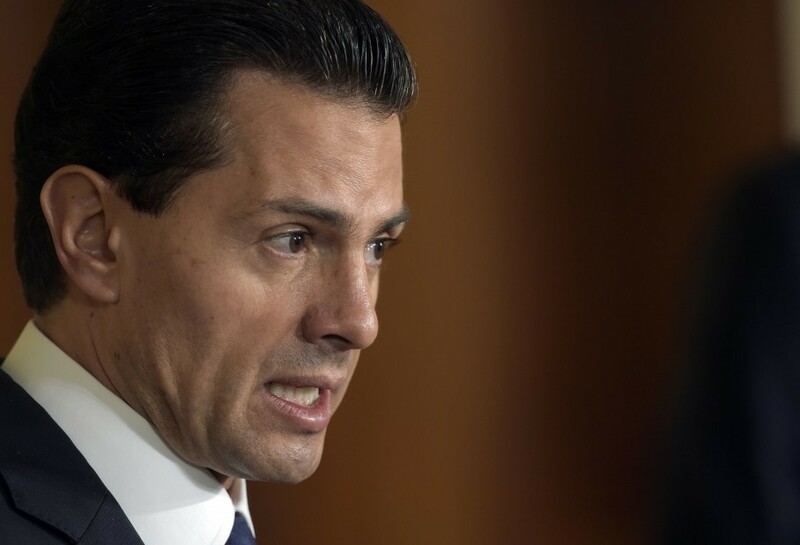 From Robert Costa, Karen DeYoung and Joshua Partlow: "Peña Nieto last Friday invited both Trump and Clinton to visit Mexico. ... Trump, sensing an opportunity, decided over the weekend to accept the invitation and push for a visit this week ... Peña Nieto tweeted that he believes in dialogue in order to 'promote the interests of Mexico in the world and, principally, to protect Mexicans wherever they are.'" Trump campaign CEO Stephen Bannon "played a key role in devising" the trip, convinced that Donald needs an audacious move. "Bannon said it offered Trump an opening to make headlines and showcase himself as a statesman who could deal directly with Mexico. Trump was intrigued by Bannon’s proposal and agreed, but not all aides and allies were as enthusiastic. ... Early this week, representatives for Trump contacted the U.S. Embassy in Mexico about his intentions. ... Trump’s representatives were told privately by officials that it would be logistically difficult for Trump to visit. But the businessman’s proxies insisted that Trump would not delay his plans. Overseas visits by senior U.S. officials normally require weeks of intricate planning on both sides, as every movement and meeting is plotted." Several Mexican politicians were quick to criticize the meeting: "Miguel Barbosa, an opposition senator with the left wing Party of the Democratic Revolution, tweeted about Trump: 'Your presence in Mexico is not welcome. Get out! You come to take a photo with those you’ve offended.' A Mexican presidential hopeful with the right wing National Action Party, Margarita Zavala, tweeted that even though Trump was invited to Mexico, he was not welcome. 'Mexicans have dignity and we reject your discourse of hate,' she wrote." A Clinton campaign official confirmed that they received a letter requesting an in-person meeting with the Mexican leader and have not responded: "Secretary Clinton last met with President Pena Nieto in Mexico in 2014 and our campaign is in a regular dialogue with the Mexican government officials," the aide said. "She looks forward to talking with President Pena Nieto again at the appropriate time." -- The trip raises the stakes for Trump's speech in Phoenix, where he is expected to lay out with more specificity which undocumented immigrants he would deport if elected. He seemed to soften his stance last week -- to focus on deporting undocumented immigrants with criminal records and not those who haven't done anything illegal -- but that opened him up to charges of hypocrisy from his key supporters. But then Donald Trump Jr. insisted on CNN last night that he was not "softening on anything." Jose A. DelReal, Jenna Johnson and Sean Sullivan explain that Trump is caught between advisers, and that he's torn between alienating hardliners and appealing to swing voters he'll need to prevail. 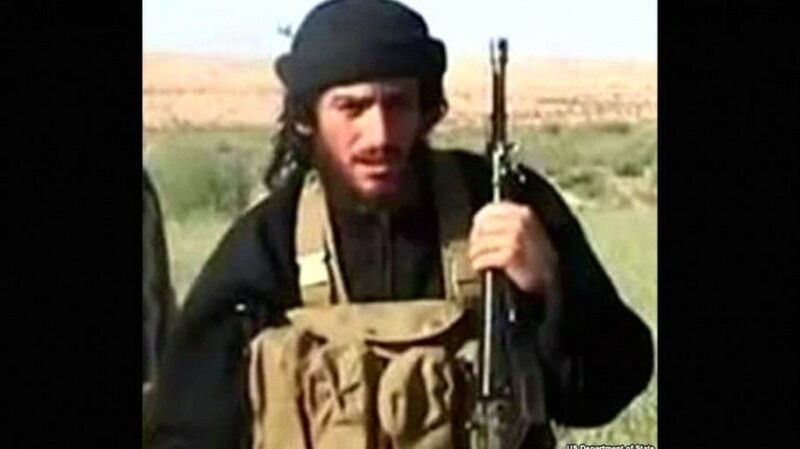 The Islamic State says one of its longest-serving and most prominent leaders, Abu Muhammad al-Adnani, has been killed in Syria. A Democratic state representative says Kentucky Gov. Matt Bevin (R) left him a threatening voicemail after he refused to switch parties. “I want you to be very aware of what the impact of those decisions will be as it relates to you, your seat, your district, etc., uh, just so that we have all the cards on the table,” Bevin says in a recording, posted by the Louisville Courier-Journal. He denies wrongdoing. 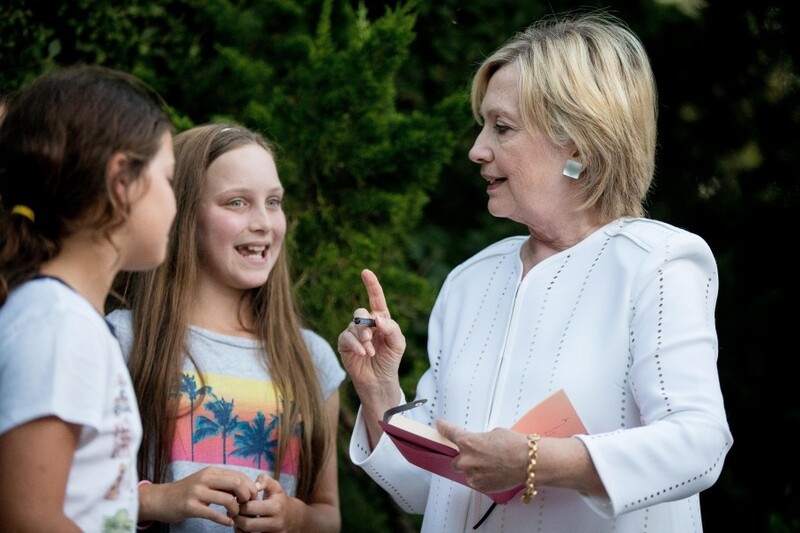 -- A record number of Americans now dislike Hillary Clinton, according to a fresh Washington Post/ABC poll: 41 percent of American adults have a favorable impression of Clinton, while 56 percent have an unfavorable one. She was at 48/50 after the DNC. Trump continues to be unpopular: 35 percent of Americans have a favorable impression of him, compared to 63 percent unfavorable. For context: At this point in 2012, Obama had a +6 favorable-unfavorable rating while Mitt Romney was at 35-51, his worst so far that year. Clinton’s 41-56 negative favorability margin is nearly the same as Romney’s four years ago, while Trump’s 35-63 is worse than any past major-party nominee since the 1980s, pollster Scott Clement notes. -- The State Department says about 30 emails recovered by the FBI in its probe of Clinton's email server could be linked to Benghazi, reports the Wall Street Journal's Byron Tau. "The new documents were found among the roughly 15,000 emails forensically recovered ... as part of its investigation into whether she or her aides mishandled classified information ... Those emails were turned over to the State Department in the wake of the FBI probe, which resulted in no charges against Mrs. Clinton earlier this year. The messages are expected to be made public in the coming months. The State Department couldn’t say how many of the 30-odd emails previously have been made public, raising the possibility that some were among the 55,000 pages of emails already provided to the State Department by Mrs. Clinton’s attorneys and released to the public. The department also couldn’t say with any certainty that the identified messages were related to the Benghazi attacks." 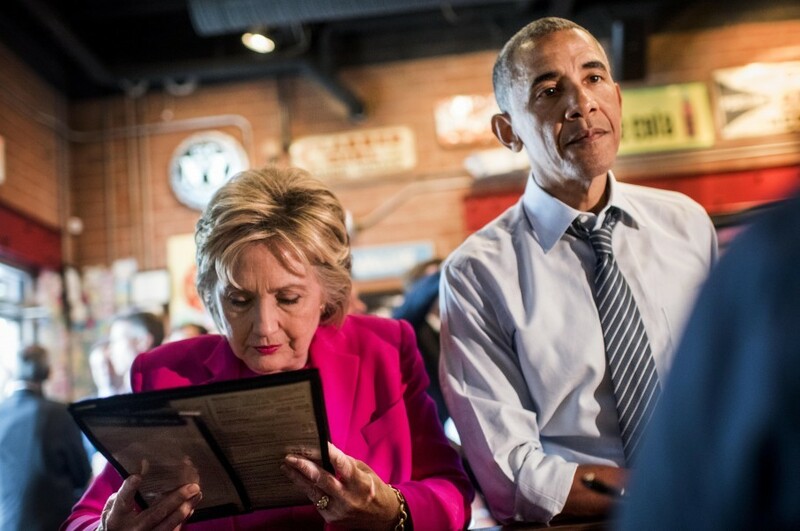 -- President Obama will make at least a dozen appearances on Clinton's behalf in battleground states between now and Nov. 8, reports The New York Times. All of them will be focused on mobilizing his base, not persuading new voters. He'll focus especially on young voters and African Americans. "'The president’s focus is on getting the Obama coalition to the polls,' said Jen Psaki, the White House communications director. Most of his appearances will be timed to coincide with voter registration deadlines and the start of early voting ... On Sept. 13, for example, Mr. Obama will appear at a rally in Philadelphia, four weeks before the last day that Pennsylvanians can register to vote ... His visits are likely to be concentrated in Florida, North Carolina, Ohio, Pennsylvania, New Hampshire, Nevada and Iowa ... Mr. Obama will generally campaign without Mrs. Clinton." -- The New York Times's editorial board also goes there, calling for Clinton to immediately ban donations from foreign entities and corporations: "If Mrs. Clinton wins, Bill and Chelsea Clinton should both end their operational involvement in the foundation and its affiliates for the duration of her presidency, relinquishing any control over spending, hiring and board appointments." -- Justice Dept. officials are weighing whether to retry ex-Virginia Gov. Bob McDonnell and conservatives are comparing the case against him to alleged special access given to donors of the Clinton foundation while Hillary was secretary of state. Rachel Weiner and Matt Zapotosky explain the distinction as prosecutors see it: "Both situations involve questions about whether wealthy supporters got special access to government not available to ordinary people. But there is no clear evidence that Clinton did anything because of donations that her charity received, and unlike McDonnell — who received golf outings, vacations and other personal financial benefits — Clinton pocketed nothing herself." 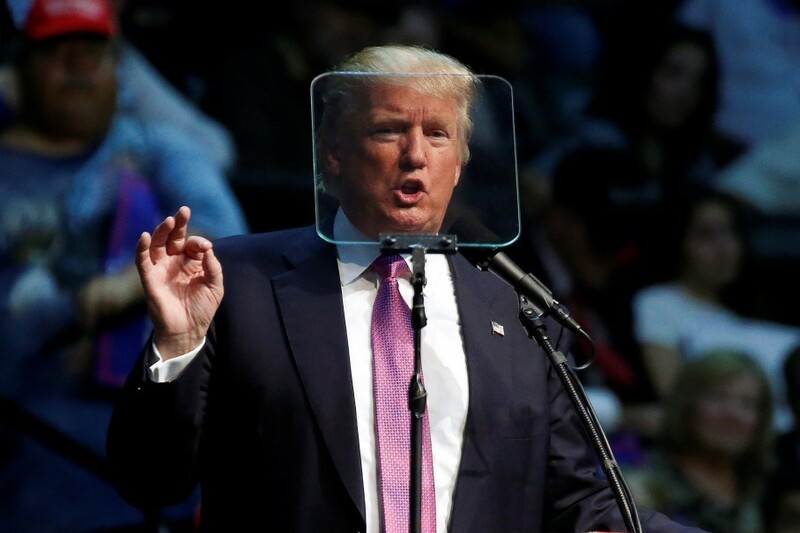 -- During a Seattle rally last night, Trump again called on African Americans to vote for him, arguing the Democratic Party's ties to slavery and Jim Crow laws are why black voters shouldn't give their votes to Clinton. From Sean Sullivan: "It is the Democratic Party that is the party of slavery, the party of Jim Crow, and the party of opposition," he said, drawing boos from the supportive crowd, which was heavily white. -- Tim Kaine took Trump to task for the over-the-top doctor's letter during an appearance in Eerie, Pa., calling on him to release "credible" information about his health. -- At the same rally, Kaine suggested Trump wouldn't be tough enough on Russia if he were elected. “He’s encouraged Russia already to get in and screw around with our elections," John Wagner reports. 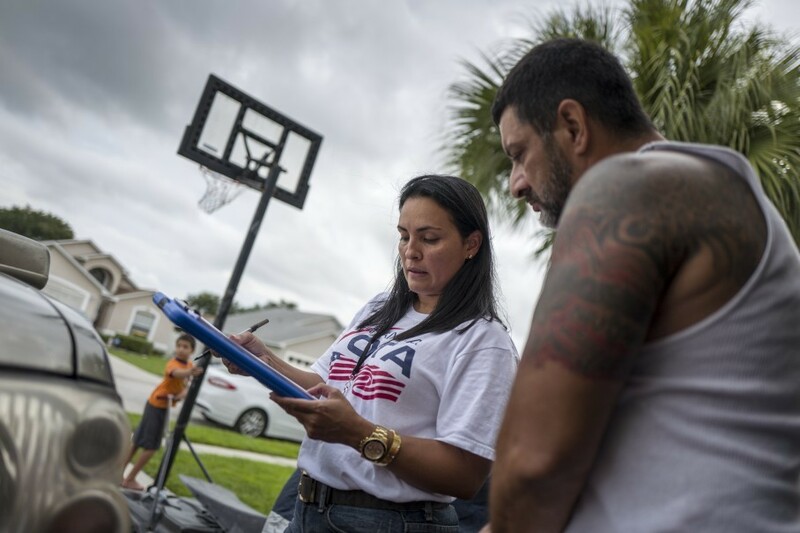 -- The complexion of the Latino vote in FLORIDA is changing to become less Republican. Ed O'Keefe and Sean Sullivan explain: "Unlike a generation ago, when the state’s large Cuban American population was devoted to the GOP, these new Latino voters are less likely to support Republican candidates ... and they are increasingly unlikely to register with either political party. “No Party Affiliation” voters — known as “NPAs” in local political vernacular — now account for 26 percent of Florida’s electorate, the fastest-growing bloc in the state, according to the latest state voter statistics ... Home to nearly 1.1 million Puerto Ricans, the Sunshine State could surpass New York as the largest home of island transplants by the end of the year. As U.S. citizens, Puerto Ricans are not immigrants, but many consider Trump’s harsh attacks on immigrants an offensive affront to the entire Hispanic diaspora." -- A massive Spanish-language ad campaign to boost Latino voter registration in ARIZONA will start today, O'Keefe reports. A public service announcement produced by the state's largest Spanish language television and radio stations will air 2,500 times before Election Day on Univision and Telemundo. The campaign is being orchestrated by "Mi Familia Vota" (My Family Votes) and is aimed at registering 95,000 Latinos before November. -- “The slow pace of attracting campaign volunteers and contacting voters led the RNC to replace its IOWA state director two weeks ago, after officials in the campaigns of Republican Sen. Chuck Grassley and Rep. David Young complained,” the Journal’s Reid Epstein reports. Trump’s team is only now recruiting county chairmen in for his campaign in Iowa. -- A Monmouth University poll puts Clinton up 8 points (48-40) in PENNSYLVANIA among likely voters, with Gary Johnson at 6 percent. Trump considers going to Mexico before his immigration speech. Quick! Can we build the wall while he's still there? Mexico trip is a bad idea for Trump because it would remind people of the actual duties of the presidency and how unsuited he is to them. Three weeks ago every headline & pundit screamed "Look at the polls! Race is over!" #Polls now tightening; media chatter is poll-free. LOL John Boehner is so happy to be out of Congress. This morning the president will travel to Lake Tahoe, Nevada, to attend the 20th Annual Lake Tahoe Summit and speak about climate change. Then he will fly on to Honolulu. In the evening, the President will deliver remarks at the 2016 Pacific Islands Conference of Leaders. Obama will remain overnight in Hawaii. Joe Biden is in D.C. for meetings. Trump starts the day with fundraisers in California, then goes to Mexico and then flies on to Phoenix. Clinton goes to the American Legion convention. -- There is a Code Orange alert for unhealthy air quality today, but the Capital Weather Gang still forecasts that better weather is on the way for the holiday weekend: "This last day of August is a hot and humid one, as so many days before it have been. Tomorrow, though, we begin to transition to a cooler and more comfortable air mass. The nicer air should stick around through much of the holiday weekend, although some showers are now possible Saturday into Sunday." -- The Nationals beat the Phillies 3-2. The International Space Station captured timelapse footage of Hurricanes Lester and Madeline churning toward Hawaii in the Pacific Ocean and of Hurricane Gaston in the Atlantic.